The Fluoride Debate – Something to look forward to in 2016? The fluoride debate is an example of the struggle of new research that challenges conventional ‘wisdom’. On one hand, it should be lauded that the NHMRC is taking a big step in reviewing the case for water fluoridation, however, the initial tone has elements of bias in it as the CEO of NHMRC has “suggested the review was occurring in line with its commitment to regularly update statements on health matters and was unlikely to change its position on the safety of water fluoridation.” Nonetheless, it is something to look forward to as the final report is due in 2016. With more publicity, comes more understanding and more pressure from the public to challenge conventional ‘wisdom’. Australian health authorities are reviewing the case for fluoride in drinking water amid concerns scientific evidence supporting the benefits and risks to people’s health may have shifted. 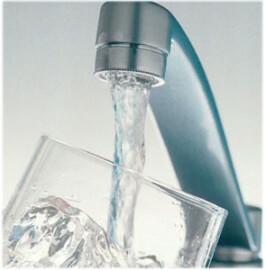 While most Australians have been regularly consuming low amounts of fluoride since it was added to drinking water in the 1960s and 1970s to prevent tooth decay, several controversial studies in recent years have suggested the mineral may be linked to lower intelligence in children and thyroid problems that can cause weight gain, fatigue and depression. On Tuesday, the National Health and Medical Research Council revealed that a 2012 study linking very high levels of fluoride to low IQ among some Chinese children prompted it to commission a review of the health effects of the celebrated public health intervention. On Wednesday, chief executive officer of the NHMRC, Warwick Anderson, suggested the review was occurring in line with its commitment to regularly update statements on health matters and was unlikely to change its position on the safety of water fluoridation. “Based on the work already conducted in the review, NHMRC is expected to maintain its support for fluoridation of water supplies as effective and safe,” Professor Anderson said in a statement.